Your day-by-day itinerary now includes Cemiterio de Pere-Lachaise, Champs-Elysees and Sainte-Chapelle. Kick off your visit on the 25th (Sat): explore the different monuments and memorials at Cemiterio de Pere-Lachaise, admire the landmark architecture of Cathédrale Notre-Dame de Paris, take in the architecture and atmosphere at Basilique du Sacre-Coeur de Montmartre, then steep yourself in history at Sainte-Chapelle, and finally get a taste of the local shopping with Champs-Elysees. Get ready for a full day of sightseeing on the 26th (Sun): head off the coast to Île de la Cité, admire all the interesting features of Eiffel Tower, then appreciate the history behind Arc de Triomphe, and finally admire the masterpieces at Musee d'Orsay. 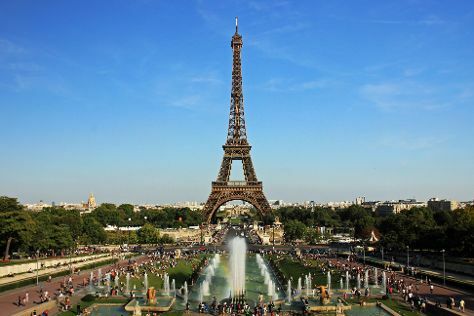 To see where to stay, ratings, and other tourist information, use the Paris online trip maker . If you are flying in from United States, the closest major airports are Paris-Orly Airport, Charles de Gaulle International Airport and Paris Beauvais Tillé Airport. In May, daily temperatures in Paris can reach 64°F, while at night they dip to 49°F. Cap off your sightseeing on the 26th (Sun) early enough to travel back home.